Accessibility is an important aspect of a new building’s design. The recent Disability Discrimination Act legislation (DDA) recommends that architects cater for the needs of people who are blind and partially sighted. 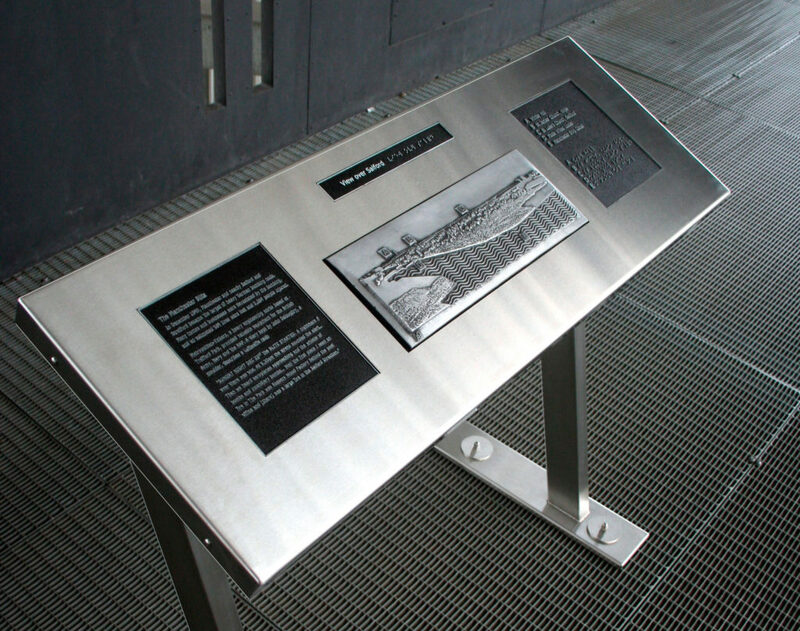 Scartworks, in partnership with Tactility, produced three Interpretation panels for the City Hall building designed by Sir Norman Foster. 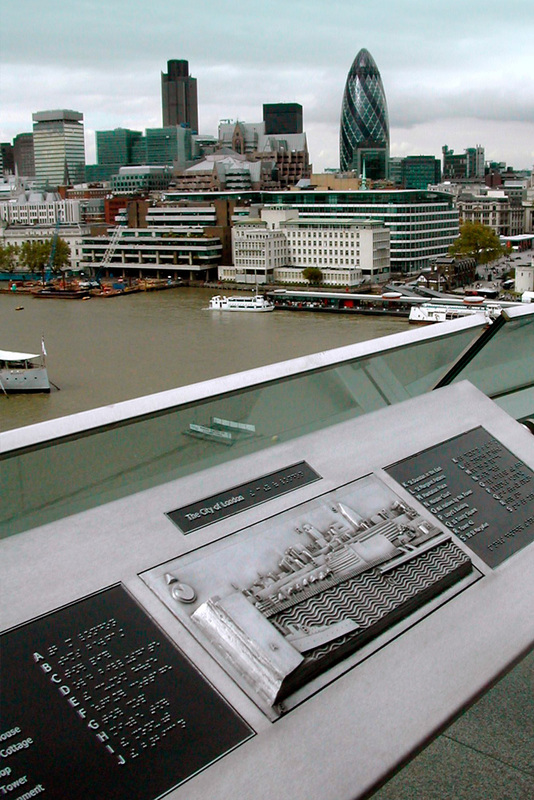 Located next to Tower Bridge on the bank of the Thames, the panels depict the visible panoramic vistas featuring such sites as HMS Belfast, The Tower of London and the now famous Swiss RE Tower (The Gherkin). With Braille legends the river scene is brought to life. 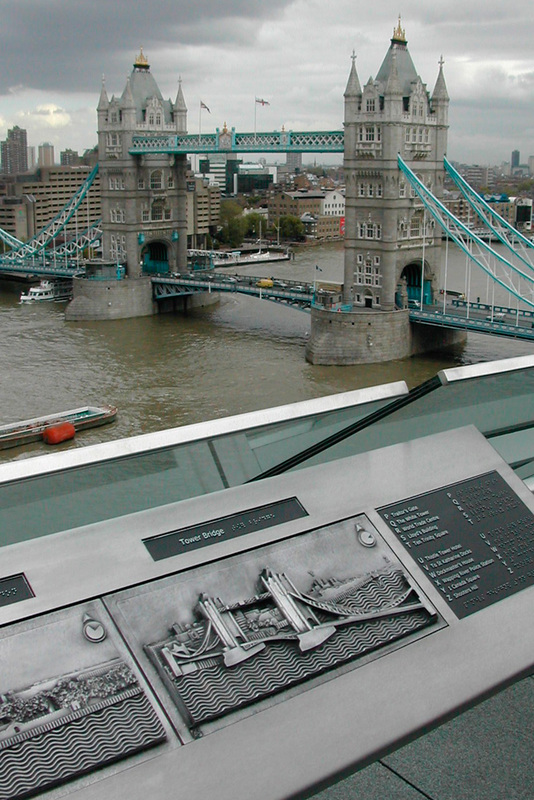 Two of the panels were fitted to the building’s public viewing balcony known as ‘London’s Living Room’. 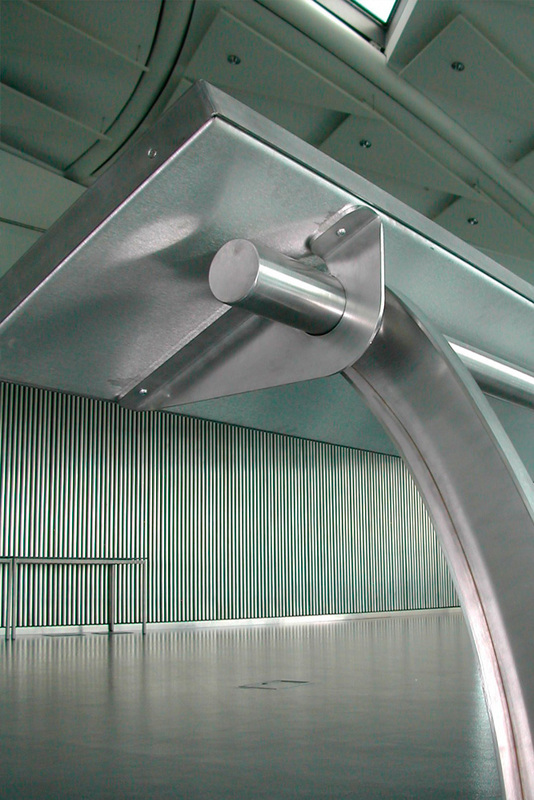 Built from stainless steel, they were designed to complement the fabric of the building as well as be functional and durable. Based on the success of this project we were then commissioned by The Imperial War Museum North to create 3 similar information panels for the ˜Air Shard viewing platform of their new building designed by architect Daniel Libeskind.